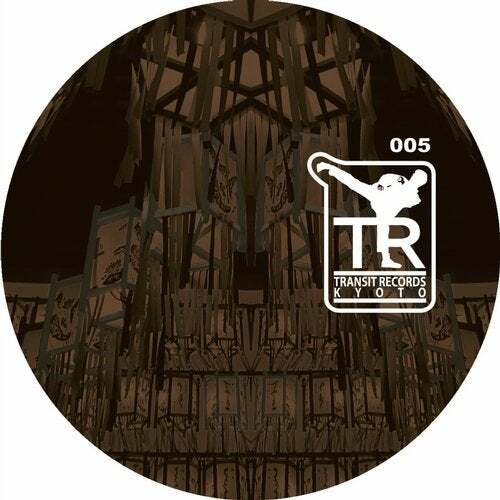 Transit Records 005, "Without End Hours', comes loaded with phat, but definitely distinct dancefloor bangers that take the title of the EP quite literally. They cover a full night (and day) out in the club, and range from dark, technoish House (- When Your Groove Is Mine"), over uplifting re-interpretations of classic House anthems ("Without End Hours"), and Dystopian Tech-House (Negativ Dekadent Remix), through to sizzling After Hour House (Zuckermann Remix). Ryoma Sasaki's originals show his love for classic electronic music blueprints and how he is able to turn them creatively into something compellingly fresh and contemporary. It feels like listening (and dancing) to something you know, but not from the past, more so from the Now. And while they wonderfully work in that now of the night, Negativ Dekadent turns this familiar feeling into an uneasiness with the future, only to make you forget about it in the abyss of his beats and overwhelming synth patterns just before the morning breaks. Finally, Zuckermann fully beams you into the slightly distorted new world you might find yourself in anyway at 11 am on a beautiful sunny morning on one of those (Berlin) dancefloors.As digital only release, this EP includes two brilliant remixes. Bee Lincoln who has settled his groovin' style in Berlin's scene, he produced a phat driven deeptech remix of "When Your Groove is Mine" with his characteristic grooves. Also, the deep leftfield "Without End Hour " remix is produced by Bodil, who is one of most important and well-known artist and live act in the Japanese underground scene. Recently he plays with Denki Groove(Takkyu Isino).